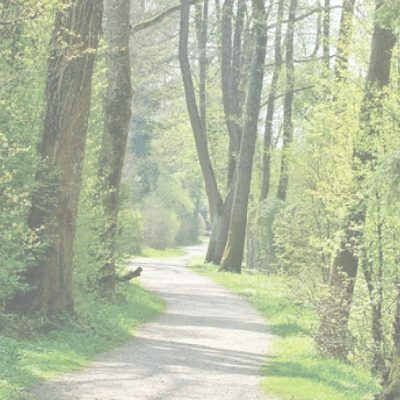 We are writing to address, or perhaps bring your awareness to, an incident that continues to reverberate through many hearts and minds within the Northwest yoga community. On February 22 at the Northwest Yoga Conference (NWYC), a problematic interaction transpired involving an Indian woman and a white woman who also happens to be the director of the conference. Savitri Palkhivala was interrupted, asked to stop speaking and immediately leave the room, and ultimately the conference, by the conference director Melissa Hagedorn-Phillips. This elder, who has been practicing meditation for 35 years, was silenced while speaking about the emergence of female power in yoga as well as the aspects of the modern yoga culture that troubled her. This was an act of both racism and Cultural Appropriation. The response from NWYC to the outcry over this incident was to censor related social media inquiries and refuse efforts made to connect with representatives of NWYC for comment and address the desire for reconciliation. A formal response was published Wednesday but was in effect an explanation rather than the acknowledgement or apology the incident deserved. The incident was videotaped and shared widely on social media causing a great deal of confusion and anger while exposing the existing harm within the Northwest yoga community. This has since become the most recent and local, clear, public example of the tremendous imbalance within the yoga industry itself, and is heartbreaking. We found the event, which we did not observe in person, incredibly sad and disappointing, and it has been a catalyst for us. The 8 Limbs Social Justice Team was immediately called into deep reflection and consideration of what transpired and, in the days following, how our own organization is operating; how we ourselves can step up; and how our community might move forward constructively. In this letter we have chosen to unpack some of the issues the incident highlighted rather than the specific occasion. We would like to see NWYC held accountable for its actions, but we also know that many of us have more work to do. We’re interested in looking underneath this single incident and investigating what it reveals, and what it can teach all of us. This statement was written by the 8 Limbs Social Justice Team, made up of Claudette Evans, Lauren Kite, Ashley Dahl, and Anne Phyfe Palmer. And yes, it is long. As a large yoga organization, we feel a moral imperative to hold space and model holding space by digging deeply into our yoga practices – which include our anti-oppressive/anti-racist lens and framework – for ourselves and for our community. White people need safe spaces to process the uniqueness of their shared experience. All yoga practitioners need the support to recognize and understand that the system of yoga itself inherently demands social responsibility. We believe that it is important to hold safe space for personal work that is both racially and culturally affirming. Cultural Appropriation is real and causes real harm. Cultural Appropriation is when a dominant culture (one with more power) selectively takes or incorporates pieces, artifacts, rituals, etc. of another culture. Dominant cultures have the power/resources/ability to take, often for monetary gain or pleasure, without having to fully understand the cultural significance of those cultural elements nor experience the pain and oppression of those cultures, to such a scale that those in the non-dominant culture could never reciprocate. It may be well-intentioned and come from love or appreciation for another culture, but it is still a power dynamic in operation. Yoga businesses owned by white people are an example of this. 8 Limbs is aware that we ourselves have not done sufficient work around the problematic and harmful Cultural Appropriation of yoga. We are aware that we benefit financially, as well as physically, mentally, spiritually, from the colonial absorption of yoga practices. We are actively addressing this by auditing our practices and teachings through the lens of Cultural Appropriation and putting resources into training in this arena. Racism is the result of prejudice combined with power and access to resources. Racism is a system of oppression that operates both visibly and invisibly and harms all people, but people of color to a staggeringly disproportionate degree. Everyone has biases and all of us can have prejudice; however, only those who belong to and benefit from the dominant culture can be racist. Period. Given this definition, there can be no such thing as “reverse racism.” The claim of “reverse racism” comes from the discomfort of having the perceived “normalcy” of the white experience be challenged. That discomfort often shows up as defensiveness – i.e. seeing and defending only the side of the person who looks/thinks/experiences similarly to you – and/or feeling confused and using that ability to opt-out due to your confusion as a justification not to take action. Social media can serve as an amazing tool to share information and connect people to one another. Social media can also create huge divides between human beings and barriers to comprehensive exchange. We do not believe it is a tool for resolving deep and highly complex conflict. A limitation of social media is that it weighs every opinion equally, gives folks a platform for shaming and bullying, and lets people post without considering the lived effects on the other human beings involved. Social media cannot accurately hold the complexity or engender the patience necessary to engage with highly charged, deeply nuanced subjects. Anger is useful, helpful, and instinctual. It is a natural response when we are in danger or when a boundary has been crossed. The presence of anger is not at issue here, rather the way in which we interpret and act from it. When engaging in this type of profoundly challenging and emotionally charged work we need the space to be curious; to assess if we are actually in danger of harm, or if what is happening is that our version of the world as we know it is being challenged. There are many types of anger that have been expressed as a result of this incident. We’d like to point out a few expressions of anger that are not helpful or germane to the context of a person of color experiencing racist action. 1. White Fragility – defined by Robin DiAngelo as “a state in which even a minimum amount of racial stress becomes intolerable…causing [white folks] to be hostile, guilty, defensive, or fearful when confronted.” When a white person is called racist, this is an opportunity for reflection, not deflection. 2. “Not me” – the reluctance to see or admit when we have taken a racist action or made a racist comment. Denial is a way for unconscious beliefs to remain unexamined. Simply because we did not intend to be harmful does not necessarily mean that our impact was free from harm. The threat of being called a racist becomes a dangerous distraction from the opportunity to investigate racism and its irrefutable presence in the yoga community. Racism has enormous, generational cost to human health, wealth, and dignity. This is no one person’s fault and is our collective responsibility to address. The realities of racism do not make one single individual inherently bad. 3. Tone Policing – detracting from the validity of a statement by attacking the tone in which it was presented rather than the message itself. One way tone policing manifests is people shaming others for not being angry in the same/right way or at the same/right pace. When white folks experience anger and demand context and retribution for those doing the racist action, racism is being perpetuated on a yet another level. This anger continues to re-center and replicate the violent norm of white experience. The same degree of patience and context is not afforded to minorities. Further, when women and/or folks of color are called out by a dominant person it further delegitimizes and renders them and their cause invisible. 1. Awareness of Humanity/Dignity – the naturally occurring discomfort when we recognize that someone’s dignity has been violated. The focus and care then goes to the person of color who has been harmed. We need to believe people of color when they say that they have experienced/witnessed racism. 2. Fierce Compassion – the insistence, born out of compassion, that injustice stop. Now. Movements such as Black Lives Matter and Me Too are examples of fierce compassion that were started to bring awareness, visibility and voice to these rampant yet tolerated injustices, and put an end to these damaging and harmful actions. 3. Anger as Vehicle for Transformation – anger that can be transformed or repurposed into energy. This energy can show up as sadness/grief as well as be a passionate motivator that moves us towards change. It is useful to grieve; to grieve for our complicity, for the loss of the world we thought we knew, for the ways we have harmed others, either intentionally or unintentionally. Uncovering oppression and racism is incredibly traumatic, and our country is in the throes of this unveiling. Anger can also inspire us to take action with a fervor that comes from knowing clearly that change is absolutely necessary. 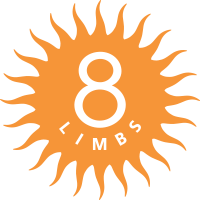 8 Limbs has committed our organization to ongoing social and racial justice work because we believe that it is essential, and we believe that the practice of yoga starts with Ahimsa, the Sanskrit word for non-harming. Ahimsa is not just about how we individually treat ourselves and others, it encompasses systemic structures of oppression. It is not possible to practice ahimsa without aligning ourselves with social justice. At this time we are responding to the call to transform our urgency and shock into skillfulness in action. What compassion could look like at this time could be to sit in the discomfort, let the urgency temper, and move forward from there. This is what holding space looks like to us. Discomfort is not unsafe. 8 Limbs is leaning into our discomfort so that we can reconcile our presence as a business with the harm the Cultural Appropriation of yoga has done. We thank you for being a part of this yoga community, and hope that you will continue to unpack these ideas along with us. If you have any comments or questions about this letter, please email annephyfe@8limbsyoga.com. This letter can also be found in full on our blog.